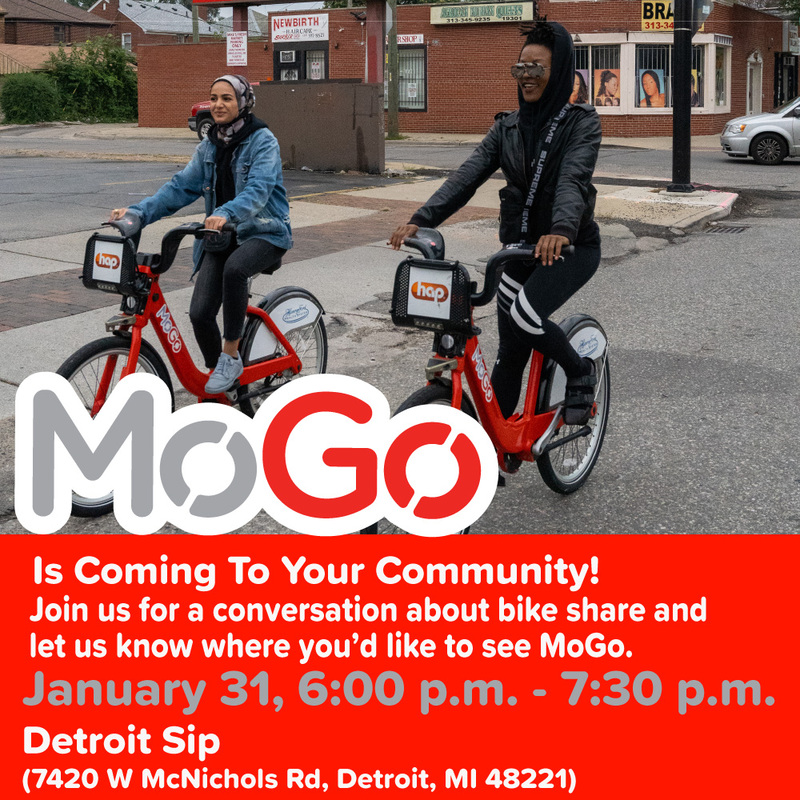 MoGo, Detroit’s bike share system, is expanding its service into NW Detroit’s Bagley/Live6 area and the communities of Oak Park, Ferndale, Royal Oak, Berkley and Huntington Woods. They are hosting two community engagement meetings to get a sense of where people would like to see stations located. One meeting in Detroit (Thursday, January 31, 6:00 p.m. – 7:30 p.m. at Detroit Sip) and one in Ferndale (Thursday, February 7, 6:00 p.m. – 7:30 p.m. at the Kulick Community Center). They will be presenting general information about how MoGo works and will provide paper maps for people to indicate where they would like to see stations. A general brochure for MoGo is available here.